Then Duck found an egg! He thought it was the most beautiful egg in the whole wide world. Well after all of the other birds’ eggs hatch (in a sequence making clever use of paper engineering), Duck keeps faith in his egg. Ignoring the other birds’ overt skepticism, Duck waits and waits until his very special, surprising, hatchling makes a grand entrance. The boys really enjoy this book; it is sweet, short, and very funny. 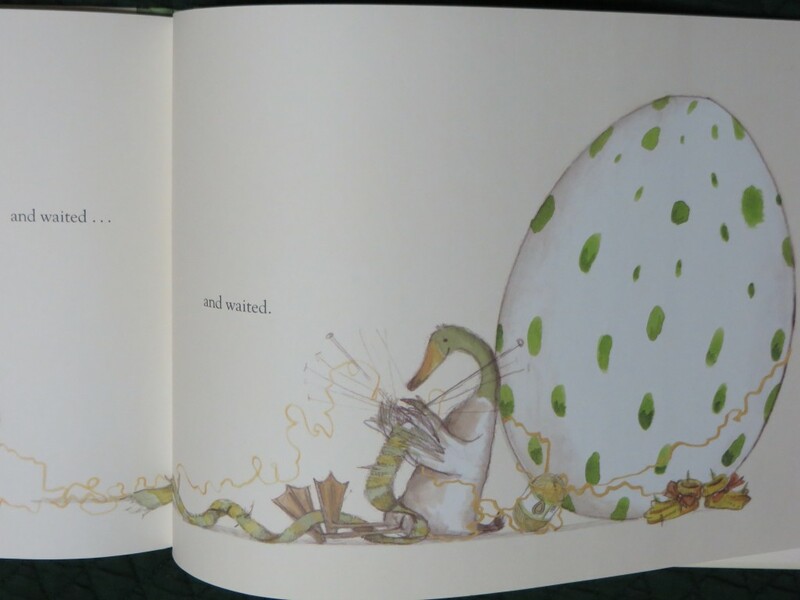 This entry was posted in Picture Books and tagged Animals, bedtime, Diverse Books, Emily Gravett, knitting, New York Times Best Illustrated Book, The Odd Egg. Bookmark the permalink.